I have always been interested in the technical and mathematical arts. Music, movie-making, animation, and exploring geometry, 2D, 3D and 4D. Here I have a chance to combine all of these. There's no better way to understand 3D geometry than to hold it in your hand. 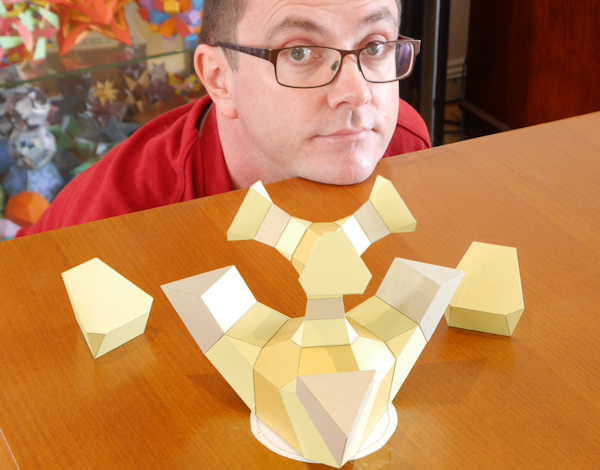 When it comes to 4D geometry, the best we can do is hold a 3D representation of it. This video shows animations of 3 such models coming together in their final stages, squeezing additional artistic and aesthetic value from the lengthy process that goes into making them. Two of these models are 3D perspective projections of 4D polytopes, while the other is a 3D cross-section of a 4D regular polytope.